Offering you a complete choice of products which include double sided filmic adhesive tapes and kraft paper adhesive packing tapes. We are offering Double Sided Filmic Adhesive Tapes to our clients. Owing to our rich industrial experience and knowledge, we are engaged in presenting high quality Kraft Paper Packing Tapes. The offered tapes are manufactured with the help of premium quality material and modular machines in compliance with set industrial standards. 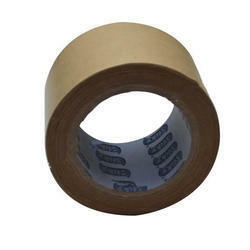 These tapes are widely used in various industries packing applications. We offer these tapes in different specifications at market leading rates. 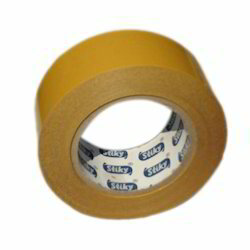 Looking for Double Sided Filmic Adhesive Tapes ?